Back from Italy and feeling totally refreshed. 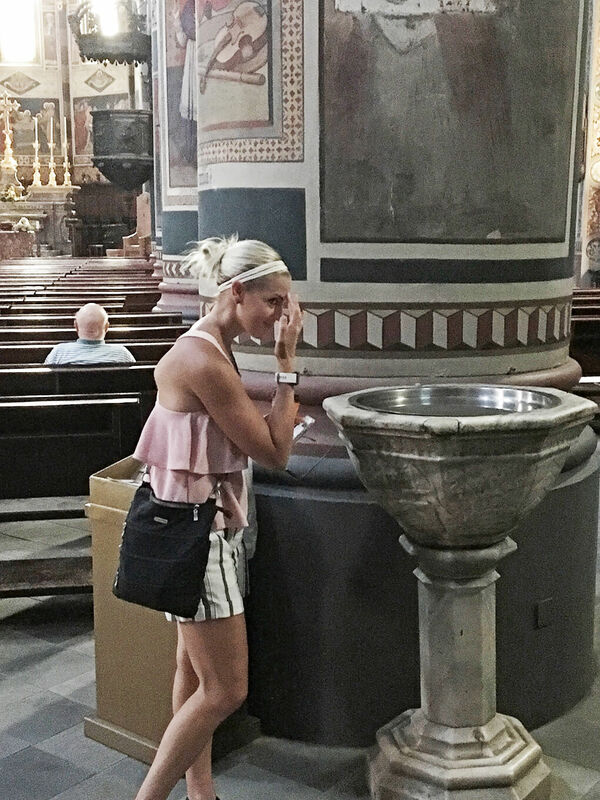 I have a whole week’s worth of stuff to share with you – from Italy to my Colonoscopy and Endoscopy results and some other personal things. 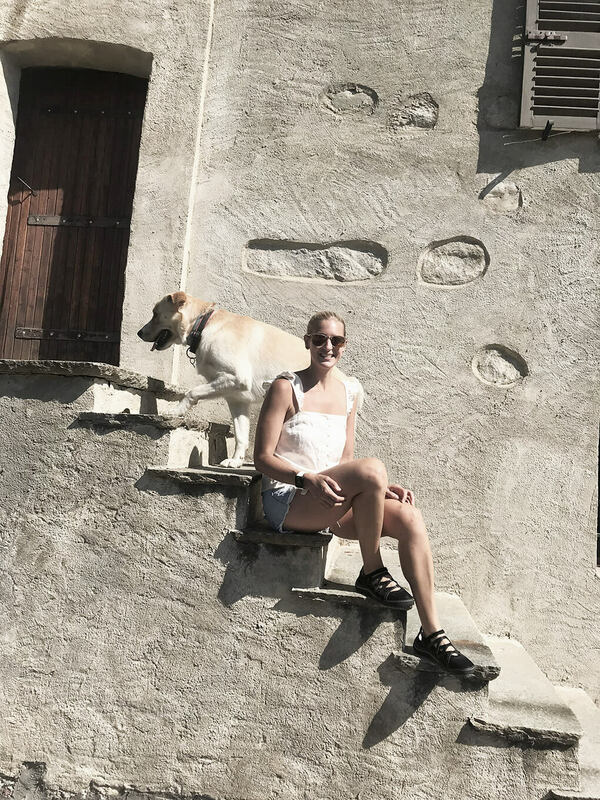 But for today….my top 17 things from Italy. Feeling amazing eating all. the. things. I’m not going to stay on this point today, but I would be remiss if I didn’t mention it first. 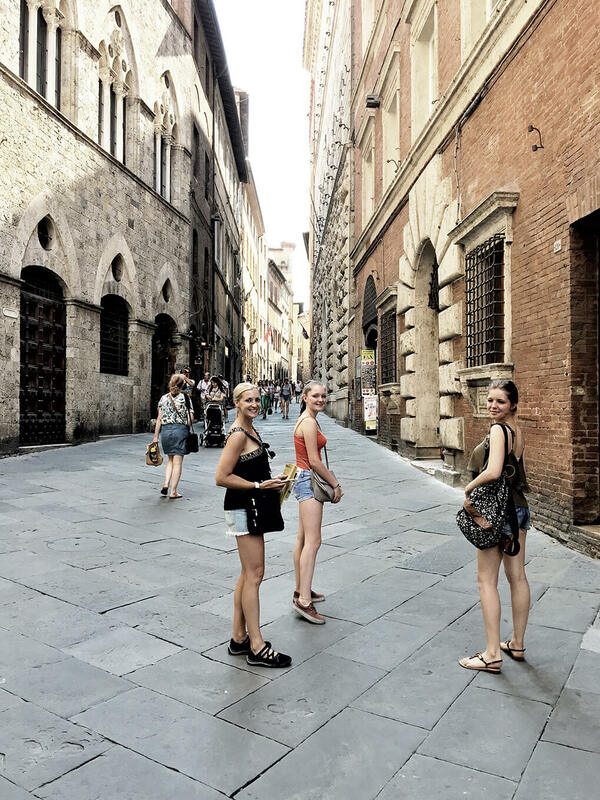 Everyone was asking prior to Italy, “What are you going to eat? They eat so much gluten.” I was scared, but knew I’d eat all the things because, well, life. And I did, too. I ate all the things, and I still feel incredible! I wrote about all things food and beverage during our time there in a tiny notebook, so I have an entire blog post coming for it this week. The streets. In Italy, all the streets are super narrow, and this look is far different from the streets in the United States. They are lined with old buildings and the ground was always made of brick, rock, or something different than plain, black pavement. Just walking the streets of Italy is charming in and of itself. Colosseum. 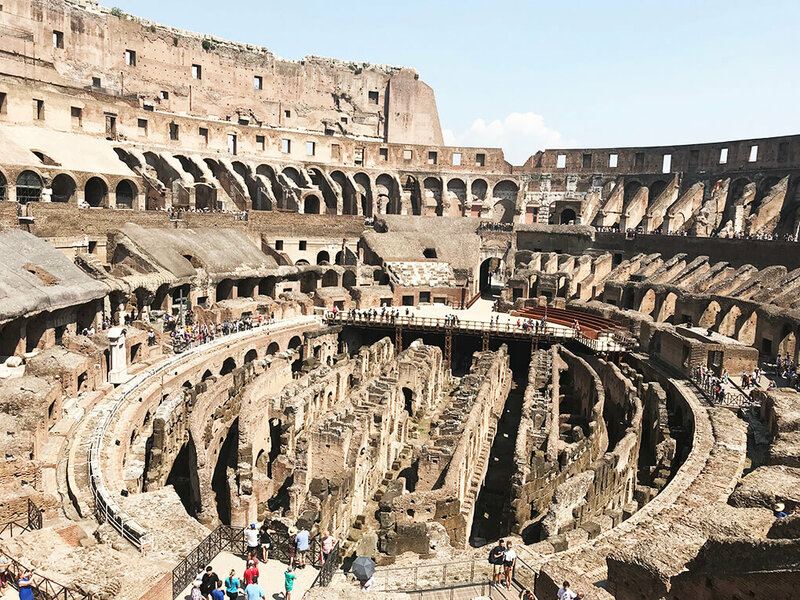 It’s hard not to mention the Colosseum in my favorites because of its rich history and sheer size. If you want the truth, Rome itself was probably my least favorite city, but seeing the Colosseum was incredible. Saint Peter’s Square, Vatican City. My favorite thing in Rome, even more than the Colosseum, was stepping into Vatican City. In case you are unaware, it’s a city-state all on its own (separate from Rome) and it’s where the Pope resides. On this center balcony is where the Pope comes out to preach. 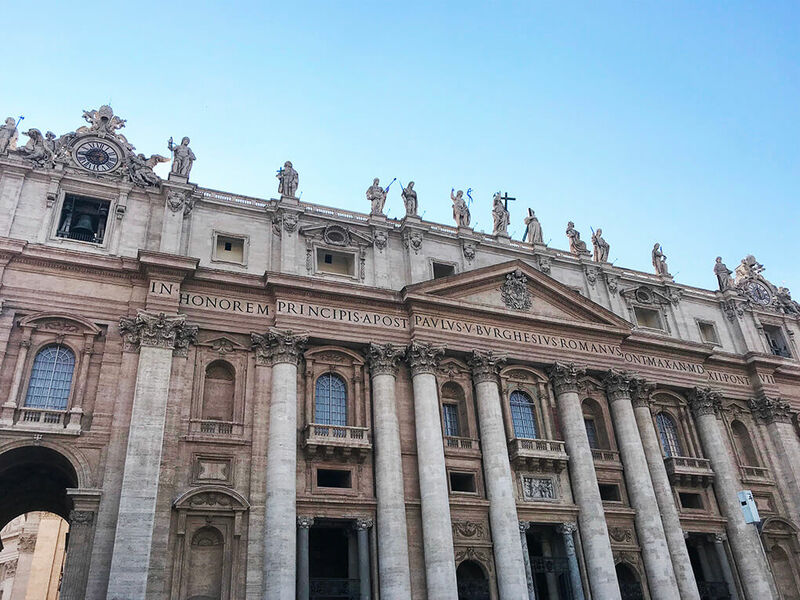 For some reason, I found everything about Vatican City fascinating. Did you know that it is the smallest state in the world by both area and population, but also one of the richest (or the richest)? The train. There has only been one other time in my life when I’ve taken a train like this, and even then, it wasn’t nearly as nice as the train in Italy. 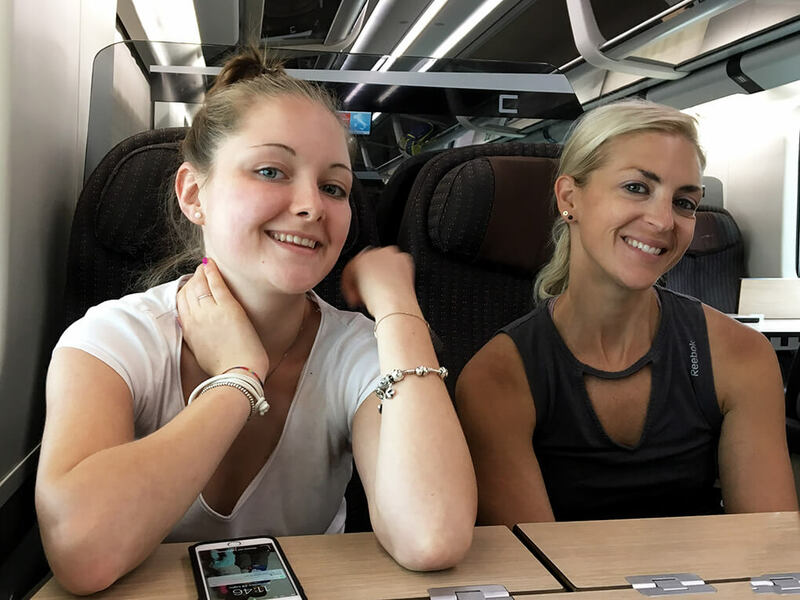 Ceci, Ryan, and I took the train from Rome to Florence, then Florence to Venice, and finally Venice to Turin. For those few short hours, the time went by so quickly and it was such a simple process to get on and hang out to the next destination. All the beautiful churches. 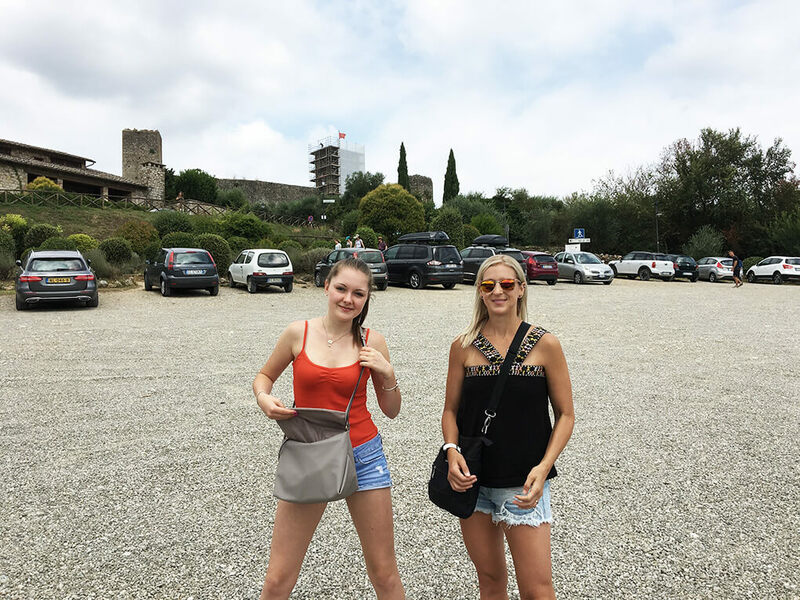 We went inside a church at every single destination, even in Monteriggioni, which is just a tiny, little comune. While I don’t go to the Catholic church regularly anymore, I do have deep roots with it. I was born and raised Catholic, went to Catholic school, and was married in the Catholic church. I believe the Catholic church (here in our hometown) is absolutely beautiful, with its stained glass windows and old features. But the Catholic churches of Italy are insanely beautiful. They are massive and contain so much beauty in their deep, rich history. I took picture after picture because I could not get enough of them. I thought a lot about how much my dad would love to see them, and how much Grandma Josephine would have appreciated them. Florence. I kind of bunch Florence, Siena, and Monteriggioni together because they were all within an hour of each other. If you go to Italy, do all three. 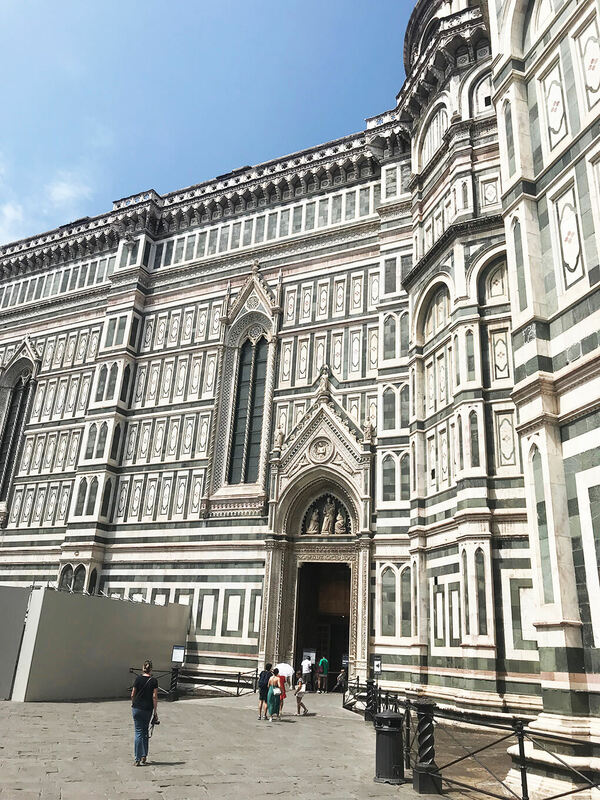 Florence, for me, was simply dreamy. 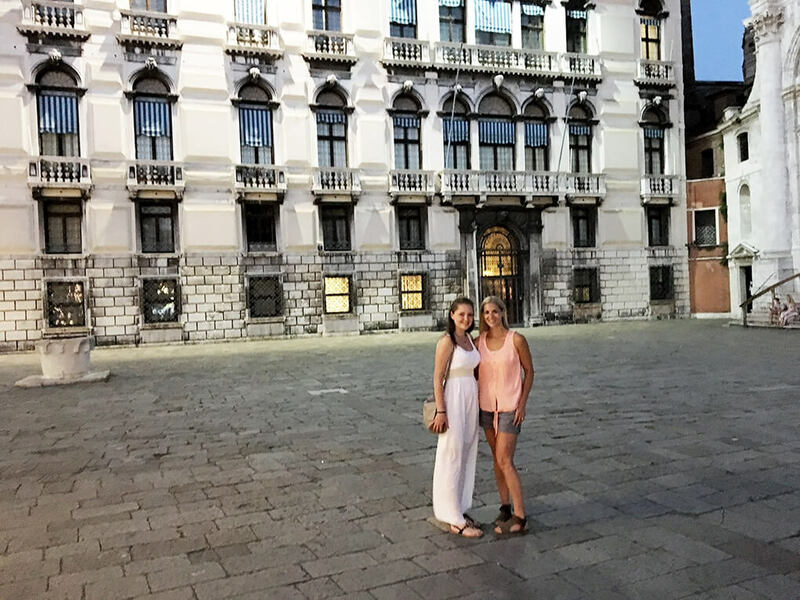 Even though it’s touristy, it didn’t feel as much like it as Venice did. 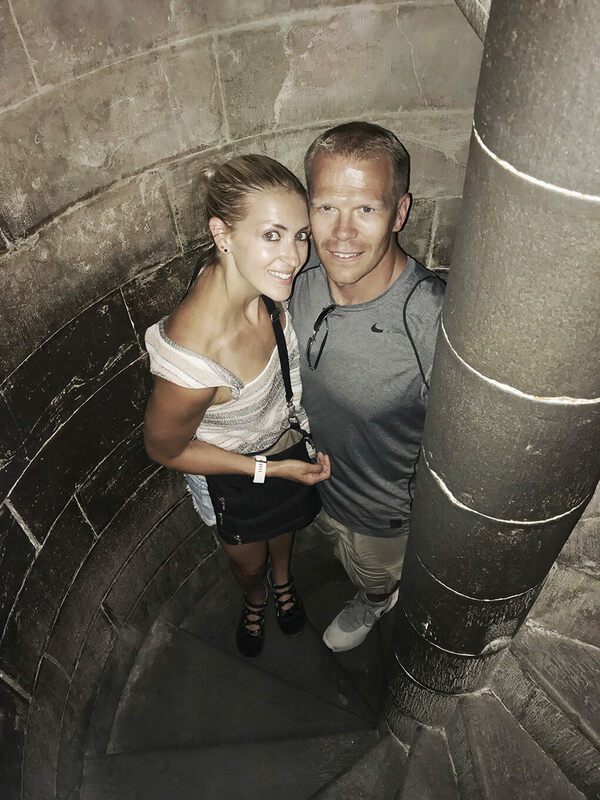 The shopping is great, and the most stunning building there is Basilica of Saint Mary of the Flower, which we (Ryan, Ceci, Camilla – Ceci’s sister – and I) climbed to the top of. 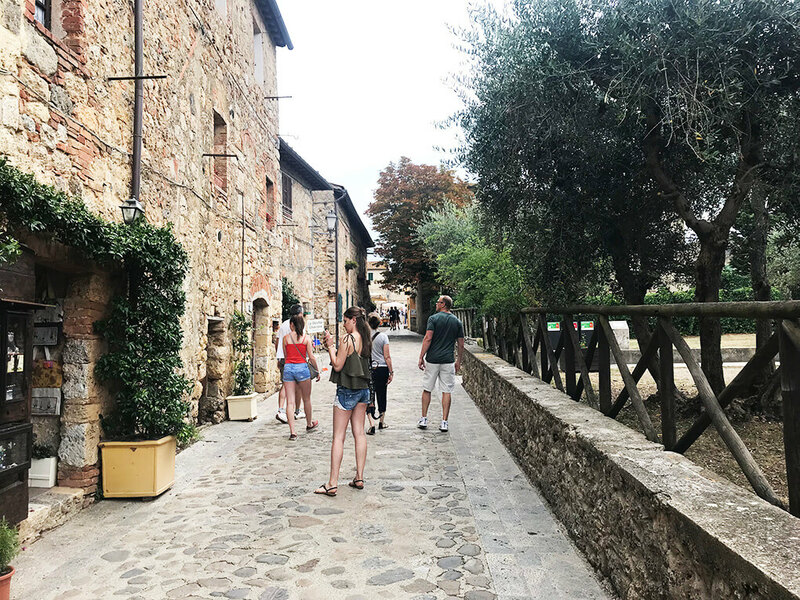 I could have spent far more time in Florence, but two places outside of Florence captured my heart…..
Siena and Monteriggioni. On Ryan’s 40th birthday, Ceci’s parent’s drove up to surprise us and took us out for the day to see Siena and Monteriggioni. Siena. Siena is another Tuscan town, and inside its walls you are also in another world, but it’s much larger than Monteriggioni. 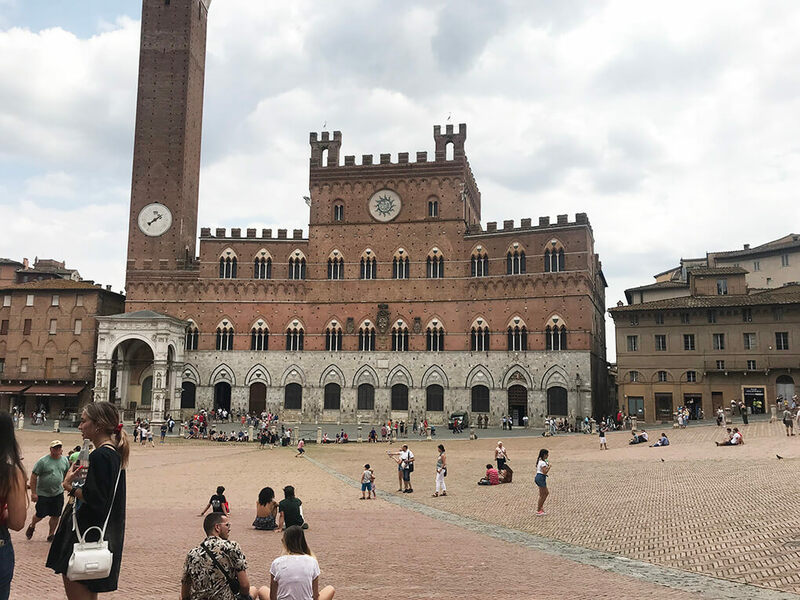 The center square is home to the Palio horse race, and it’s made up of “contradas,” which are represented by an animal or mascot, and have their own boundaries and distinct identities. In other words, it’s almost like small, little villages inside a larger village. Navigating Venice. I thought I’d like Venice a lot more than I did, but Venice is sort of confusing and it’s like a crazy-huge maze. 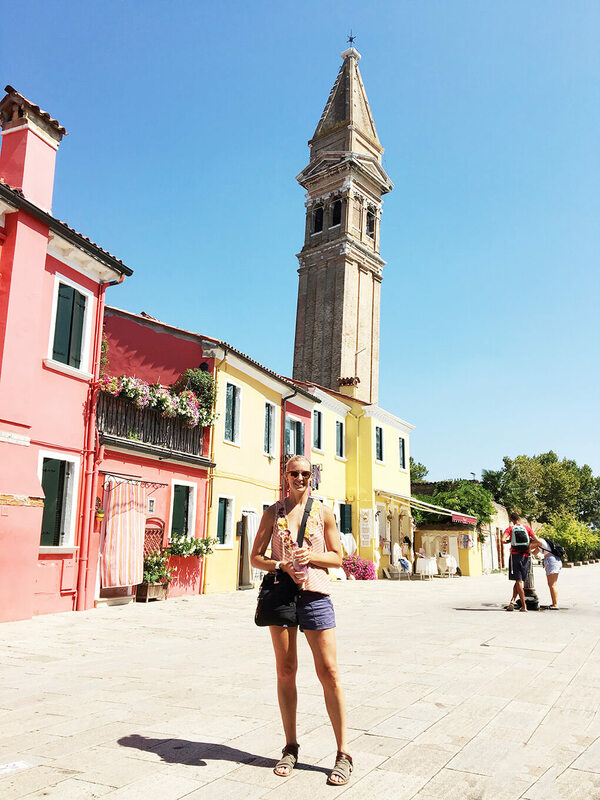 Ceci had on her Venice map so she could get us “unstuck” more often than not. The first day we were there, I constantly felt like we were lost – and we kind of were. But when you’re lost, you see so much. Burano. Burano is an island off of Venice, and one day we took a boat to Murano (another island) and Burano. 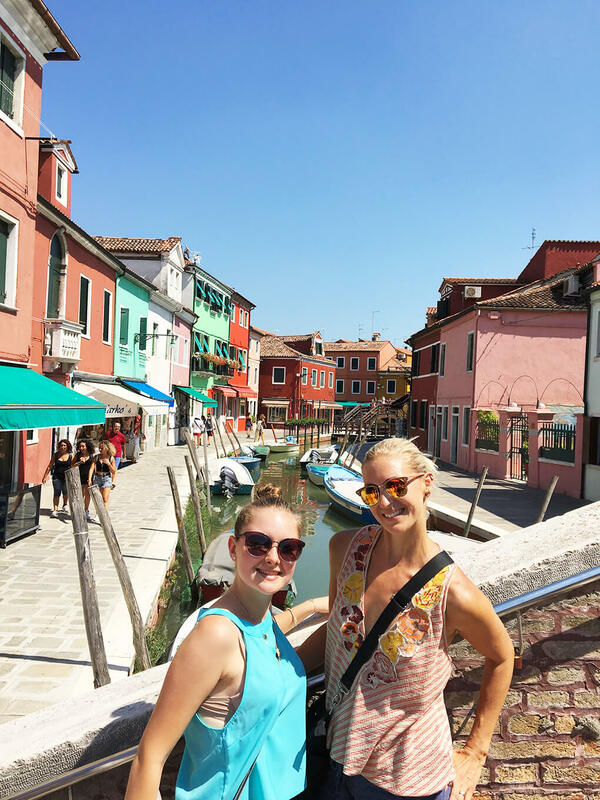 Burano was my favorite. It’s known as the “colorful island of lace.” All the stores contain “lacey” items, and all the buildings are super colorful. I could not get enough of it. Ceci’s home. Gush. I told Ceci and her family that I’d be visiting often (or moving in). 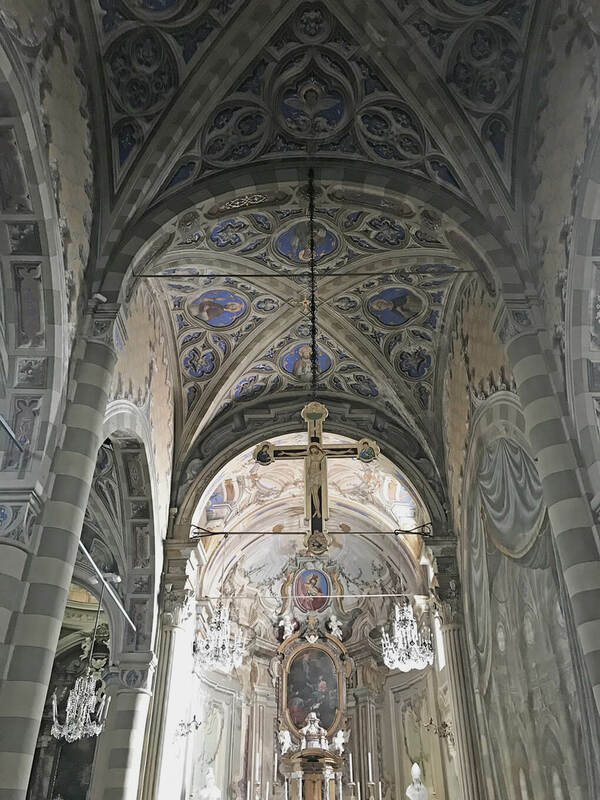 Their home resides in Luserna San Giovanni, and it’s absolutely beautiful. Part of it was built in the 1600’s and the other part in the 1700’s. It is attached to a church because way back when it was a convent. It’s virtually impossible for me to describe what the house is like, but I fell in love with every last thing about it. There are technically three floors, but the top floor is unfinished. We walked up to it, looked around, and Ryan and I both told them how easy it would be to rent that out as an AirBnB, and I promise that if they ever do it, I’ll share immediately so you can stay there. Stunning. Stunning. Stunning. I would live there in a hot microsecond instant. Pinerolo. This is a town about 10 minutes from where Ceci lives, and it’s where she has spent most of her time these past several years because her school is there. It’s another quaint, little town, and in it was a massive, lovely farmers market that she says runs every Wednesday and Sunday. They had everything from cheese to meat, fruits and vegetables, to clothing and miscellaneous odds and ends. I bought two outfits there. 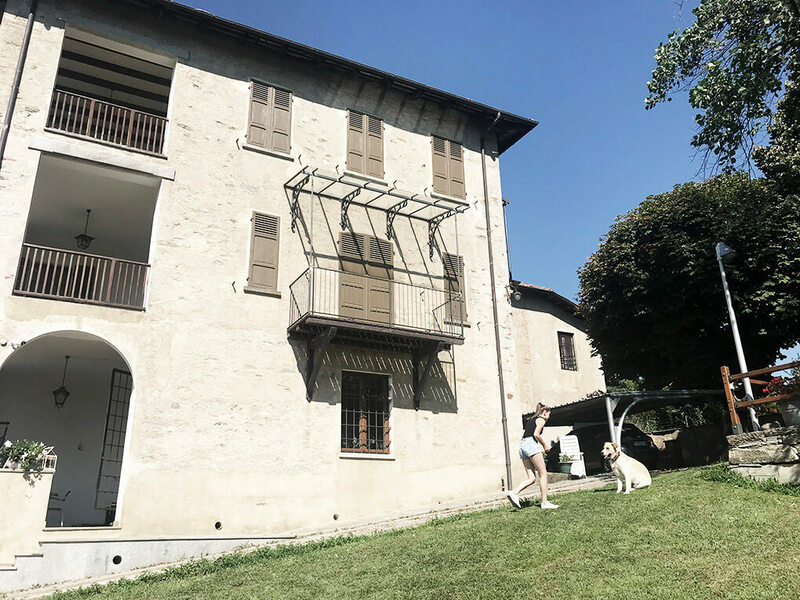 One of my favorite parts of that day was when Ceci shared with us another property her family owns – it’s now an apartment of sorts, but back in the day a king used to reside there. Here is Ceci and Ryan in the middle of it. Crissolo. Ceci’s parents took us to a restaurant one night in the mountains. 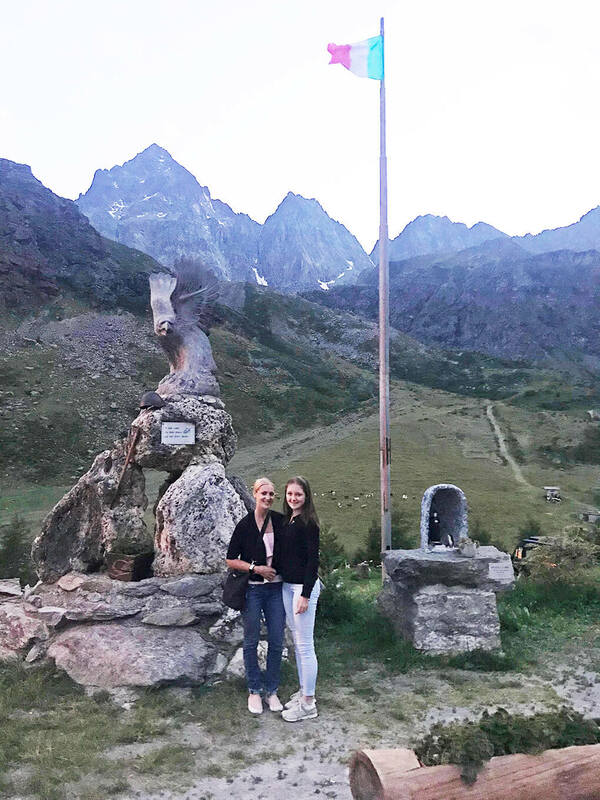 It was one of my favorite nights of the whole trip because, well, mountains. It was absolutely astounding up there – mountains, greenery, all of it. Spoons. Might as well get to the end of this list with all the heartfelt stuff – my favorites! Ryan and I didn’t buy a ton of things while in Italy. The things we did buy were about 90% kitchen stuff because that’s kind of our jam – food, wine, coffee cups, plates, mugs, etc. 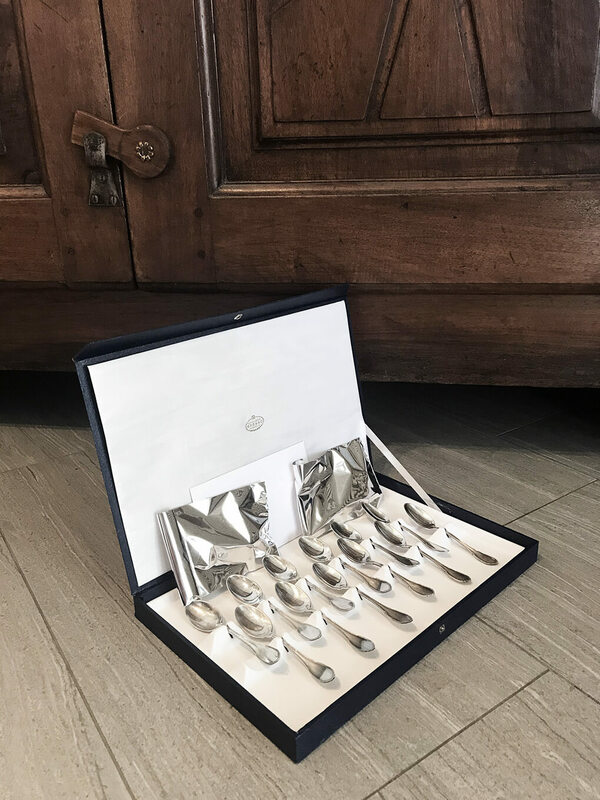 We had bought everything to remind us of authentic Italian coffee mornings except the little, silver spoons because we weren’t finding any we loved. The morning we went to the market in Pinerolo, I saw some silver spoons. I asked Ceci about them, and she was super quick to tell me, “No, don’t get them. They aren’t good, and will go bad after using them once and washing them.” I put them down. That afternoon after lunch with her mom, they handed a navy, blue box to us with a letter attached. Inside were 12 silver spoons and 2 silver sugar scoops. Silvia (Ceci’s mom) had gifted us her Grandmother’s spoons from 1933. I haven’t been able to read the letter again since we’ve returned to the United States because I still can’t get over what a gesture that was. They are beautiful, and I feel overwhelmingly grateful. Ceci gets her own section since she was the best part of Italy (because she can only be found there – well, usually, anyways). I thought a lot about this. The very day after we committed to Ceci, we found out Amiya was born and that we were likely to get her. Ryan and I even thought for a hot minute that maybe the timing wasn’t right and that we should let the agency know Ceci should not come to live with us. Ugh. But THANK GOD that the good news and bad news for both Ceci and us was left in the hands of someone other than us. 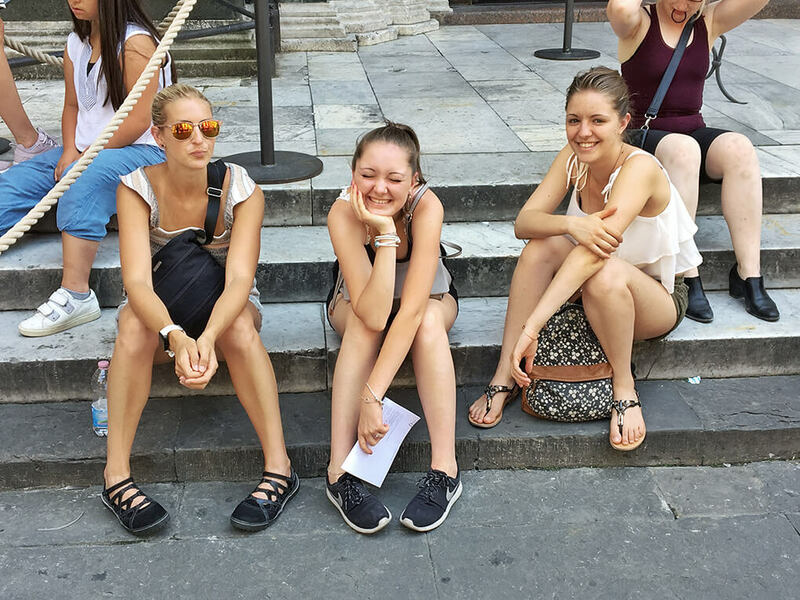 Having Ceci live with us in America was more than we could have ever asked for, and going to see her in Italy and meeting her family was something indescribable. There are millions of people who do the whole foreign exchange student thing and once the student leaves America, rarely do they stay in touch. 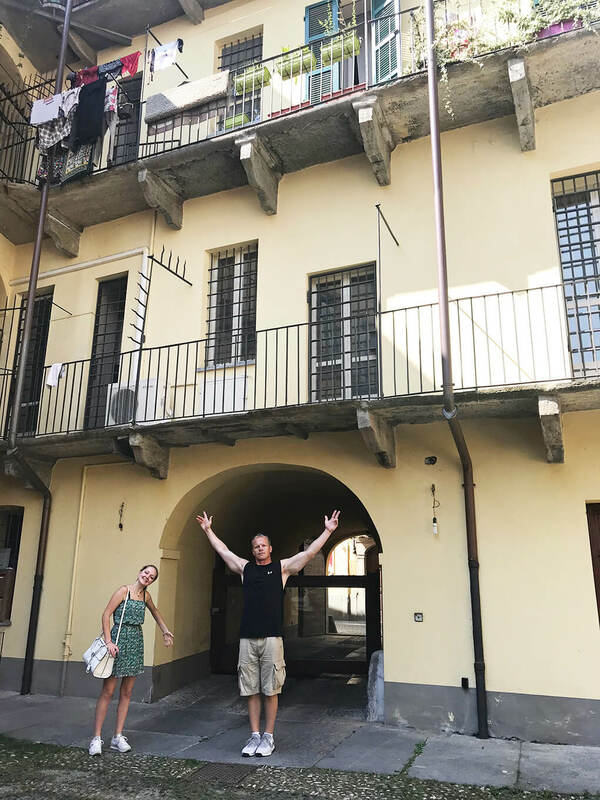 Our situation is polar opposite, and I truly feel like Ryan and I (and the kids) have another family in Italy – far across the Atlantic Ocean (which gave me massive anxiety flying over, btw) in a land that is breathtakingly beautiful. Ceci is now 19, and she is still every bit as intelligent, charismatic, sweet, honest, and determined as ever. 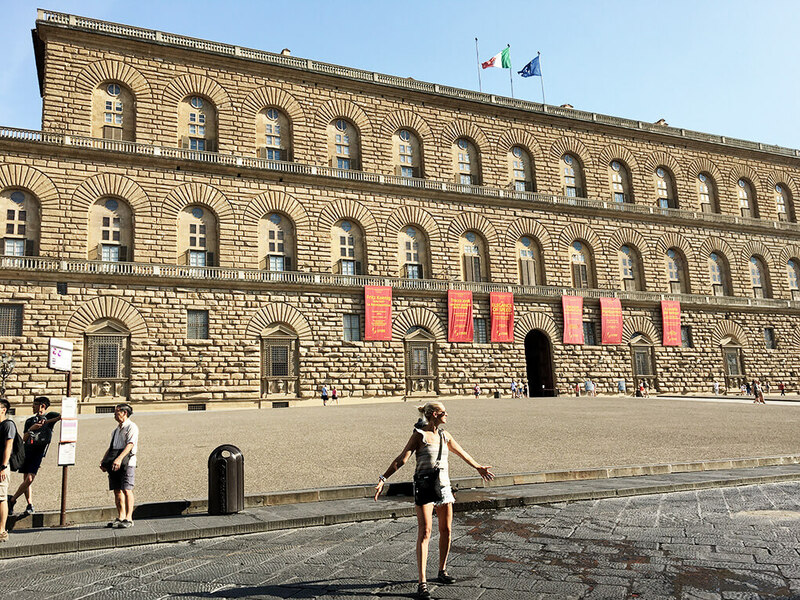 We tried getting her to apply to Harvard, but I think she’ll be set on staying in Turin for University 🙂 I know that Silvia, Massimo, and Camilla need her, too. 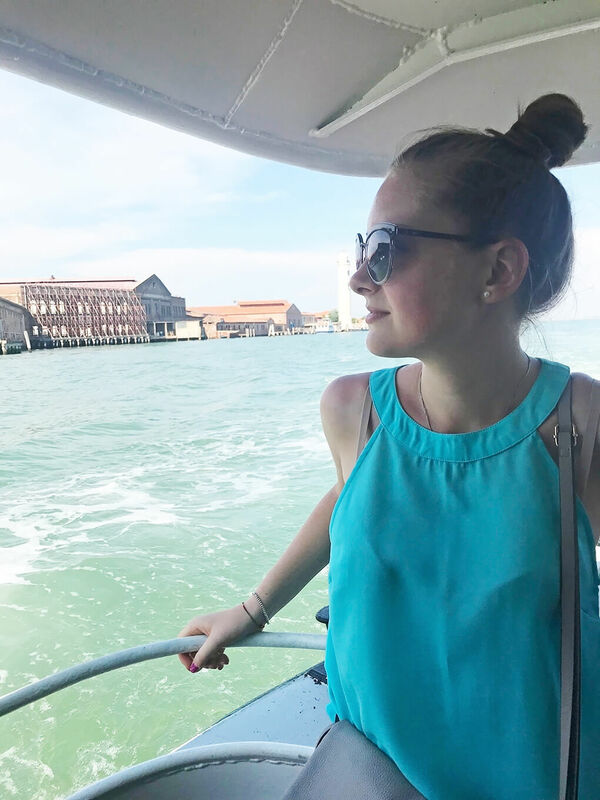 I will forever love Italy, and I am so excited to go back (because we absolutely will). And if you’ve never been, set your eyes on a trip there. You’ll never regret it. Ciao for now, Ceci. See you soon.